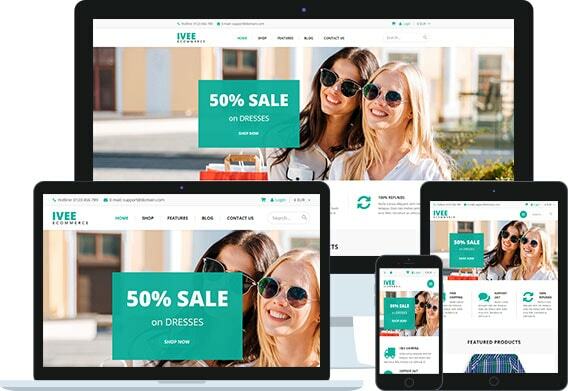 Ivee Ecommerce is a Responsive and Multi-purpose WordPress Ecommerce and Blogging theme. It's well desgined for WooCommerce plugin and WordPress system contents. You can build unlimited pages with Gantry 5 powered drag & drop layout builder with unlimited widget positions and easy to use Gantry 5 particles. It comes with built-in style configuration which support unlimited colors on page background to header, sections/positions, bottom to heading and body fonts.